Catering in the health and social care sector is challenging but incredibly rewarding. There are so many people working extremely hard to improve the lives of very vulnerable people. When challenges arise they are usually confronted head on with the hope that improvements will be made. What I was searching for when I started was the base knowledge to guide me. Practical training for care catering that was based on the years of knowledge and expertise that had gone before. I thought I was looking in the wrong place. I couldn’t find any. When I realised the wasn’t any easily accessible practical training for care catering it seemed obvious that it needed to be created. When I started catering in the health and social care sector I thought that my background of working in hotels, restaurants and pubs would be more than enough to effectively run a kitchen in a care home. It wasn’t that I arrogantly looked at the sector from the position of hospitality. I looked at the challenge with an open mind and understood that nutrition and well being would be of an utmost priority. Any confidence I had came from years of experience working in busy kitchen environments creating high quality food. I still totally underestimated what was in store! There are many challenges to overcome to organise the way the catering operation works to best provide great nutrition and hydration to everyone. We will take a look at these challenges in due course. I have always found that that solutions can be found with a little ‘outside the box’ thinking and a good team. One challenge that I faced was around the provision of food for people with dysphagia. I had been asked about my experience of ‘blended foods’ during the interview process. Working in restaurants chefs are making purees and using specialised ingredients to turn ingredients into a vast spectrum of textures. I was able to show that I understood some of these techniques quite easily. The main issue arose when I was in position and the question of ‘what?’ came up. What type of food can we serve? Soft food was the answer initially. So what was this? Suggestions of mashed potato, pasta, soup, sandwiches with the crusts cut off… it seemed like a list rather than appetising menu choices. However this wasn’t all the information I needed. The ’soft food’ category was being used for all dysphagia diets and wasn’t taking into account foods with a pureed texture. The communication of what was needed and safe was at best misunderstood and misleading and at worst unknown. It was at this point that I realised I needed to find out and understand why it was necessary to serve foods with certain textural characteristics and who need what, exactly. By understanding the problem it was easier to work out how menu choices could be made available for dysphagia diets. The UK descriptors for dysphagia diets made great leaps forward in categorising food textures. They crucially provided a check list of tests that can be made to make the textures safer. The new IDDSI framework has brought in further scrutiny for consistencies of food and drinks. Using testing methods that bring consistency and objectivity. 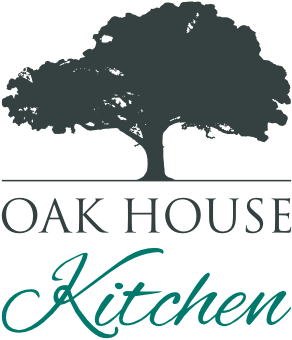 Oak House Kitchen has worked hard to try and understand the IDDSI framework. In reality, what each level is and how it looks and feels. We have worked with IDDSI to bridge the gap between the science and how to achieve the right results on the plate. 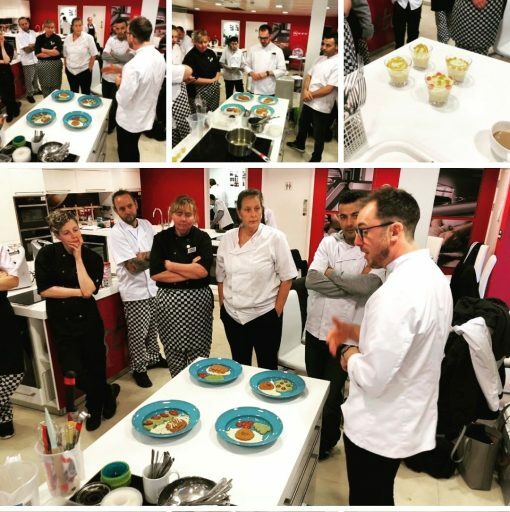 It has taken us into a world of different foods, textures and techniques that can be used to make the most challenging dishes suitable for dysphagia diets. We are finding that there are a great number of people in the sector that feel as I do about access to practical training. 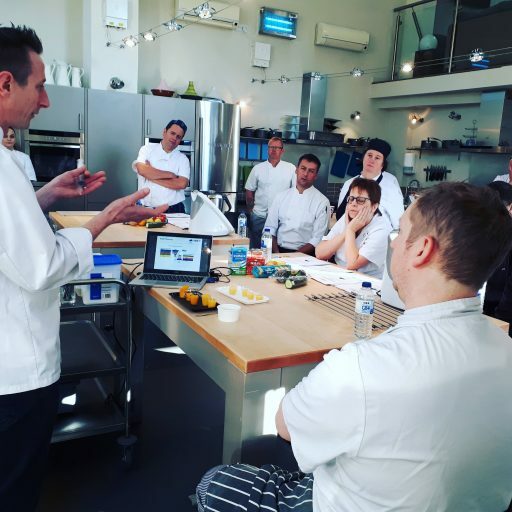 Chefs and managers are searching for some way of gaining knowledge and skills to improve the quality and safety of their catering provision, especially around dysphagia diets. Care UK has been very progressive in striving to understand where improvements can be made. When they see an area that needs improvement they go beyond what is adequate to achieve the best in class. 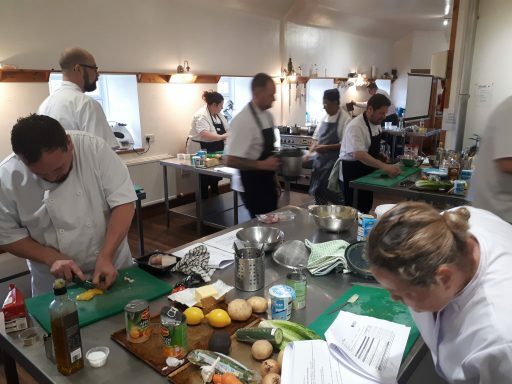 Care UK’s Hotel and Services Manager, James Clear, came directly to us when looking to train the chefs working in the 120 homes around the country. We knew we could bring James and his team a fantastic practical dysphagia training course. The course would give detailed underpinning knowledge combined with extensive practical sessions. It is important to hone the chef’s skills and leave them with the expertise to know how to adapt all the dishes on their menus safely. We worked very closely, in collaboration, with James Clear to guarantee that Care UK got exactly what they wanted. It was important to develop a working relationship that allowed for great communication which ultimately ensured the success of the course. The training course focused on understanding the condition fully, what IDDSI is and what the food levels look like. Once this underpinning knowledge was covered we combined demonstrations with practical tasks. This ensured all the chefs developed the skills needed to provide food for dysphagia diets. Every practical session had trainer and peer analysis to support development of thinking the chefs need. Results were excellent and we found the chefs to be enthusiastic and pleased with the course. 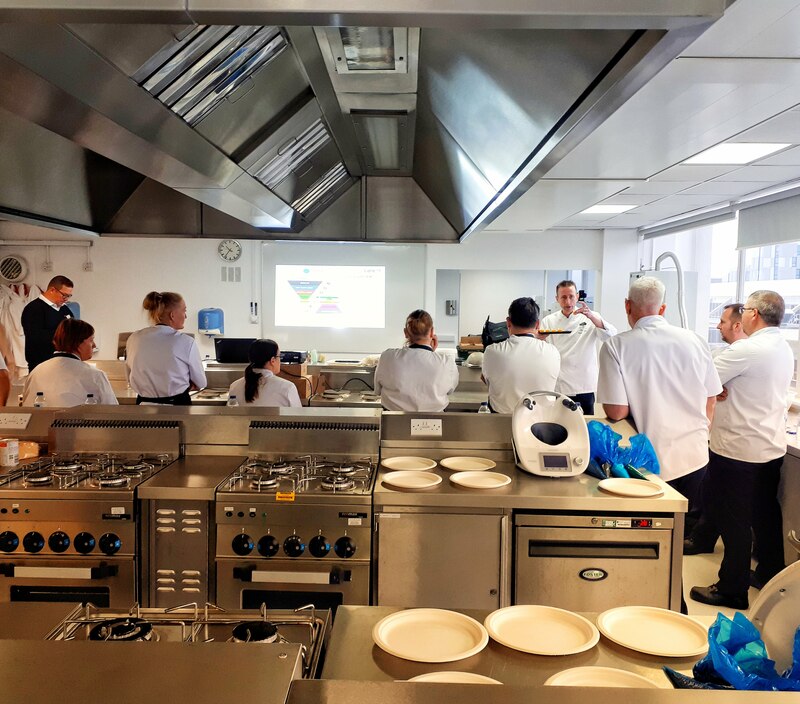 Do you want practical training for care catering? We are offering industry specific training at a range of levels to meet the needs of the sector. No matter what size your operation is you can give practical training to your teams by registering interest HERE. Just find the course and location that suits your needs and register your interest. High quality, effective practical training for care catering has never been so easy to access.